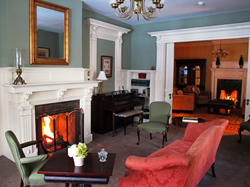 "BedandBreakfast.com's Diamond Collection recognizes inns that provide premier service, excellent hospitality and superior lodging for discerning guests." BedandBreakfast.com® today announces the induction of its 500th Diamond Collection™ luxury inn. The Summit DeBary Inn joins the prestigious BedandBreakfast.com Diamond Collection, an exclusive group of professionally inspected, top-rated and guest-reviewed luxury inns with modern amenities.